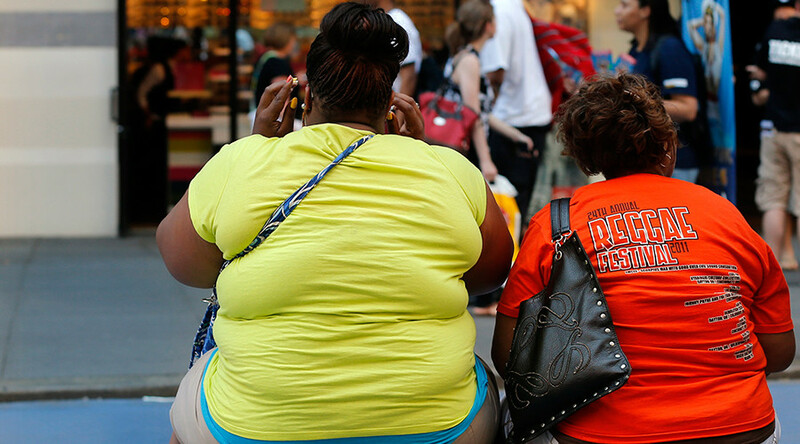 Lack of access to universal health coverage and high rates of obesity homicide all contribute to lagging life expectancies for American men and women. The US is predicted to fall farther behind other countries in the next 20 years, researchers say. While the overall study found life expectancy is likely to rise in all 35 industrialized countries with at least 65 percent for women and 85 percent for men, the size of the increase varies. Led by Imperial College London, the study was conducted in collaboration with the World Health Organization and published in medical journal The Lancet on Tuesday. The United States is likely to see only small improvements: Rising 2.1 years (from 81.2 in 2010 to 83.3 in 2030) for women and 3.0 years (76.5 to 79.5) for men. US life expectancy is already lower than most other high-income nations and by 2030 is predicted to lag behind countries such as Croatia and Mexico. “The USA has the highest child and maternal mortality, homicide rate, and body-mass index of any high-income country, and was the first of high-income countries to experience a halt or possibly reversal of increase in height in adulthood, which is associated with higher longevity,” the study’s authors wrote. Among their findings: Life expectancy for Korean women born in 2030 in South Korea will expect to have life expectancy of 90.8 years, French women 88.6 years, and Japanese women 88.4 years. South Korean men will have a higher life expectancy of 84.1 years, Australian men 84.0 years, and Swiss men 84.0 years. Life expectancy is calculated by assessing the age at which people die across the whole population. A country with high childhood mortality rates will lower national life expectancy. The team used 21 models based on weather forecasting techniques to analyze long-term patters of mortality and longevity in 35 industrialized countries, and combined the results depending on how well the models performed. Ranking the countries by predicted rises in life expectancy from 2010-20130 for women and men places the US in the bottom four in each case, along with Japan, Bulgaria and Macedonia. In countries where life expectancy is likely to increase the most, the increases are considerably higher. A baby girl born in 2030 can expect to live 6.6 years longer in South Korea, 4.7 years longer in Slovenia, and 4.4. years longer in Portugal than a baby girl born in 2010. For baby boys, the highest predicted increases in life expectancy are 7.5 years in Hungry, 7.0 years in South Korea and 6.4 years in Slovenia. The study’s authors held that the high rates of increase in South Korea could be a result of rising economic status, which has improved children’s nutrition, lowered blood pressure, decreased levels of smoking, and increased access to healthcare and medical technology. In the US, the authors found that large socioeconomic inequalities and the lack of universal health care contributed to declines in the US.